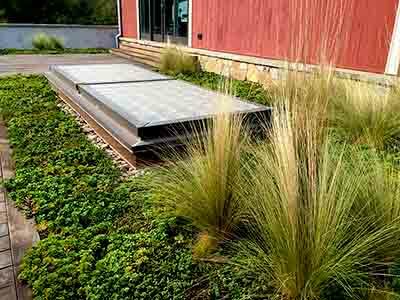 Davidson Residence | residential | Living Roofs Inc.
Bridging two wings of the house with green. The green roof acts as a bridge between two wings of a new guest house. The green roof is visible from inside both structures. 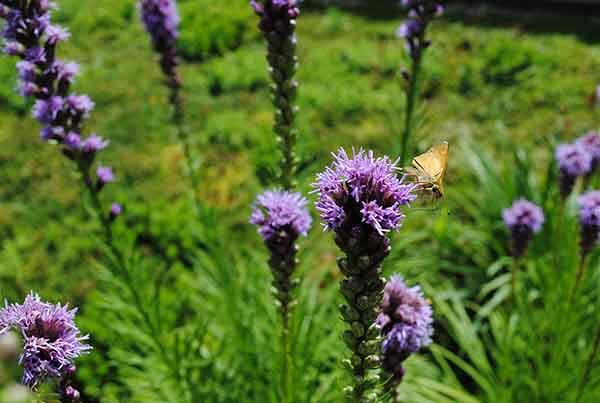 Drifts of perennials, ornamental grasses, and bulbs are tucked into the extensive green roof. 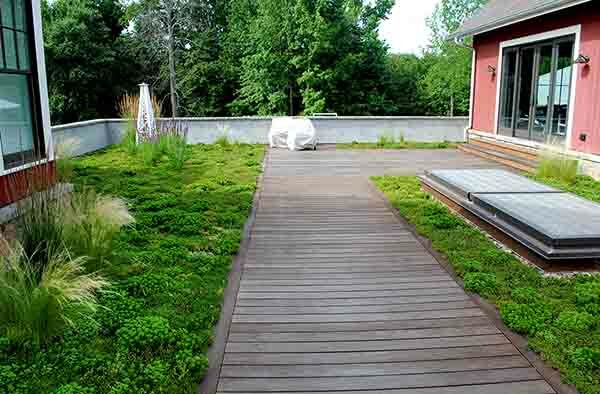 Pre-vegetated sedum mats were used for an immediate green roof effect. The green roof is accessible to the owner and guests.